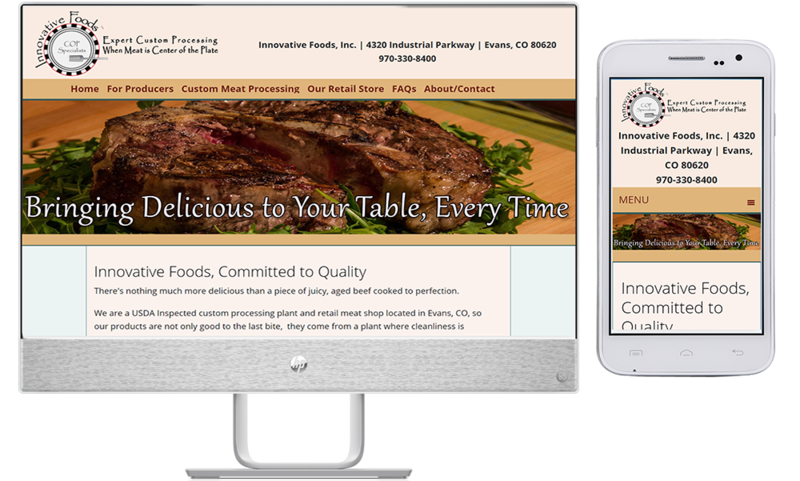 Innovative Foods, Inc. is a successful meat processing plant and retail butcher shop in Evans, CO. We replaced their old site with a colorful new one full of information. The client does a lot of custom animal butchering. Because their customers need to explain how they want their meat cut, we created and added a series of cutting order sheets. These can be downloaded filled out online. Their customers love the convenience! We also extended their retail offerings menu, and provided a lot of good on page SEO . Client response is very positive--they have been adding new customers daily now that the site can be easily found on the web.